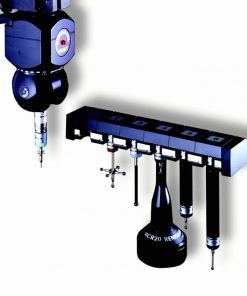 Renishaw is a leading scientific technology and engineering company that specialize in precision measurement. Products from Renishaw are designed for a wide range of applications, including brain surgery, dentistry, as well as jet engine and wind turbine manufacturing. 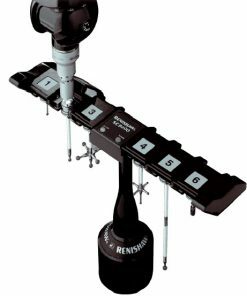 Rack changers from Renishaw offer easy mounting features. They are designed to protect stored probe modules from airborne contaminants, secure stored probe modules for automatic changing procedures, and more. If you are looking for rack changers that enable fast and repeatable exchanges of probe modules or extensions on coordinate measuring machine, you won’t go wrong with Renishaw CMM rack changers. 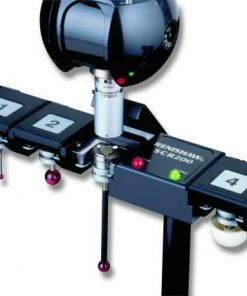 Willrich Precision Instrument has been serving the gaging, inspection, and metrology industry since 1971, and we ensure that our Renishaw CMM rack changers provide the very best in reproducibility and resolution. Our success at Willrich Precision is owed to our unwavering commitment to put our clients as our priority. That’s why you can shop with confidence knowing that we will put our vast resources to work for you whenever you require assistance with any purchase, of any budget.